Alright so first off I know some of the anatomy in the first panel is a bit off. It was drawn a while ago and the pose itself was tricky to work with. That being said I really like the way this page came out, especially Lucien jumping the boxes in the 3rd panel. 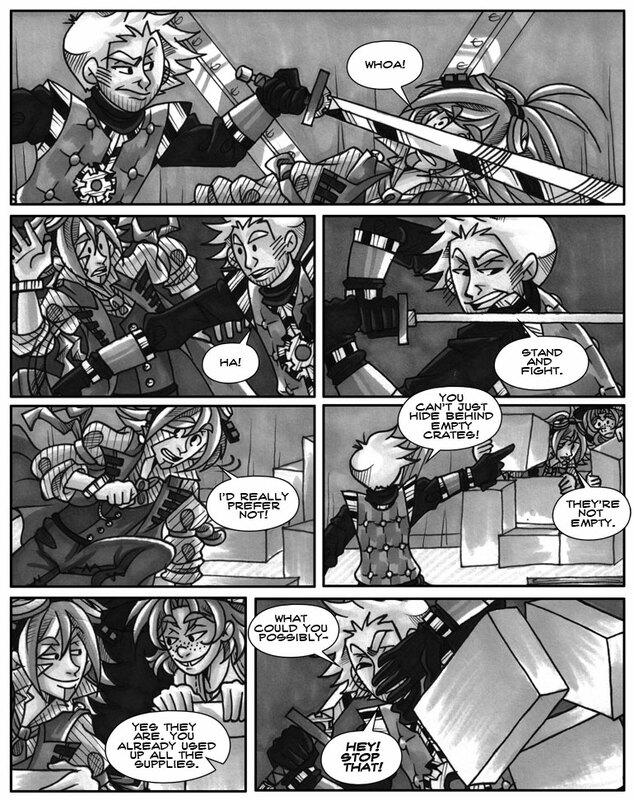 Also it looks like there is more evidence that Lucien is a bad influence on Whistle in that 2nd last panel hahaha.